Greenhouse gases -Carbon footprint of products - Requirements and guidelines for quantification and communication. • It provides a step-to-step guide for the quantification and communication of greenhouse gases (GHGs) associated with carbon footprint of a product (CFP), based on International Standards on Life Cycle Assessment (ISO 14040 and ISO 14044) for quantification and on environmental labels and declarations (ISO 14020, ISO 14024 and ISO 14025) for communication. • Prime purpose is to quantify the carbon footprint and harmonize methodologies for communicating the carbon footprint information and also provide guidance for this communication. • It provides the development of CFP-product category rules (CFP-PCR), or the adoption of product category rules (PCR) which have been developed in conformity with ISO 14025 and that are consistent with ISO/TS 14067:2013. • It addresses only one impact category: climate change. • It enables the quantification of CO2 emissions over the LCA of products and services, and ensures that the relevant values become comparable globally. • Identification & assessment of the processes that have significant contribution to the CFP. 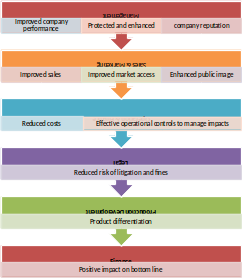 • Reduce emissions and raise the efficiency of the value creation chain with ISO 14067. • Optimized carbon footprint communication to consumers with traceable information giving quality information for assessing a product. • Discover with us how to implement an ISO 14067 in a way that suits your business. • Whether you are new to ISO 14067 or looking for gap analysis, we at TechnoSysCon shall provide our expertise for continual guidance for your business. • Our aim shall be to make sure that the Management System to be best for your business.